Whether your project is a corporate function, a private get-together or a special event, Write Image Marketing & Promotions can assist you on numerous levels. We can assist you with the details that can often become a hassle. Areas such as production-based issues, sourcing and coordinating suppliers and vendors, as well as day-of-the-event management, can be organized and taken care of by us. Enabling you the luxury of more time and focused concentration on other areas of your event. We can provide full event management and planning, including the creation and development of thematic concepts, food and beverage services, decoration and décor, and full entertainment for any event or campaign regardless of size or budget. 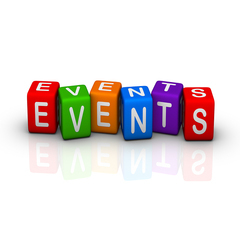 We can implement marketing strategies for your projects and events. There are numerous avenues to explore, and a multitude of resources available; Write Image Marketing & Promotions is fundamental to ensure that your project and event shines above all the rest.